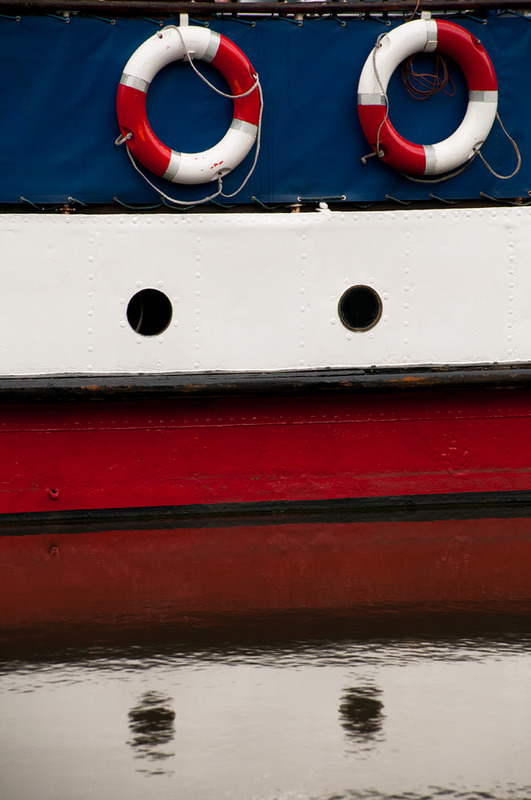 Standard zoom (35mm-80mm range is fine) – wide enough to get the whole boat in but long enough to focus in on detail. Longer lens (80-200mm) - shoot small detail on boats further away. Polarising filter – reduce reflections on the water and in paintwork and deepen blue sky. Tripod - extra support when working on uneven surfaces such as wet sand. If you want to capture the postcard shot of colourful boats lined up, reflecting in the water while a bright blue sky frames them from behind you'll have to head out on a sunny day when there's not much of a breeze in the air so the water's still. Make sure you use a polarising filter to saturate the colours and enhance the sky. If you get to the harbour and find the tide is out don't think you need to head for fish and chips while the water trickles back in. Instead, photograph the boats which are now stuck in the mud and take advantage of the mooring ropes which are now fully visible, using them as lead in lines for your photograph. A small aperture is needed to ensure everything from the front of the rope to the distant boat(s) or other objects are sharp. Harbours are bursting with photographic potential but don't make your scene too busy. If you can, single out one boat and place it near the foreground of your shot as this will give the photo more impact and will certainly be better than a shot of several boats that are fighting for your eye's attention. 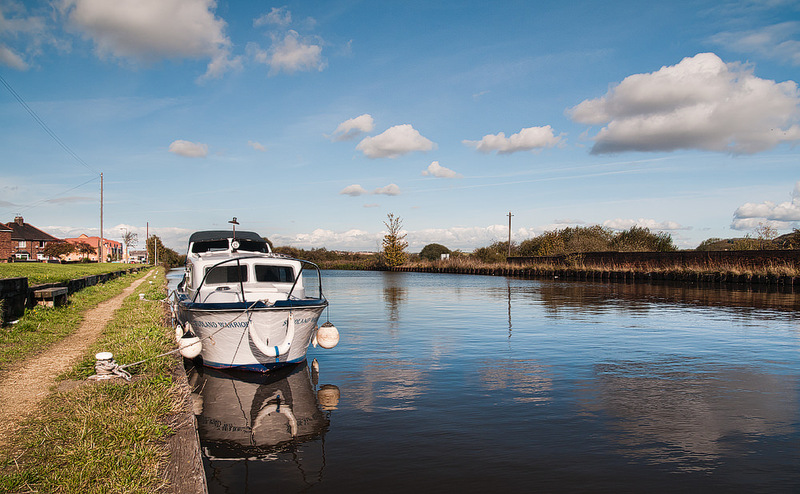 Away from the coast you'll still find plenty of boats on canals, rivers and in reservoirs waiting to be photographed. Canals create leading lines that will help with composition while the winding curves of a river will guide the viewer through the image to a boat making its way through the bends. If there's a bridge find a position where you can use it to frame a boat passing under it, just watch your exposure as the light under the bridge will be lower than the outside and it's easy to end up with a shot that's underexposed if the camera's meter reads from the brighter part of the scene. Switch to spot metering where possible, taking a meter reading from the side wall of the bridge and use that as the starting point. Barges found on canals are often very colourful and feature flower pots and other accessories that are worth a quick snap. Just remember to use a wide aperture to blur the background. Round the harbour you can crop in on sails, boat hulls, lifebuoys and fishing nets. For those who like things to be a little more fast paced head for a water-sports centre where water-skiing, jet-skiing and other adrenalin-pumping activities take place. A camera which has a fast autofocus will help you capture action shots where your subject is pin-sharp. A little blur in the background can enhance the sense of movement / speed in your shots, however. More tips on panning can be found in our '11 Panning Tips For Beginners' article. For advice on other essential tips on photographing these fast-paced activities take a look at our previous article: Wakeboard and Waterski photography. [epzimg]92763_1522092677.jpg[/epzimg] A very misty weekend at Kinneret (Sea Of Galilee) in Israel. A very misty weekend at Kinneret (Sea Of Galilee) in Israel. This is what you'd call crowded. Too much for the eye to take in. At Acre, (Acko) in northern Israel. Again a too crowded scene.